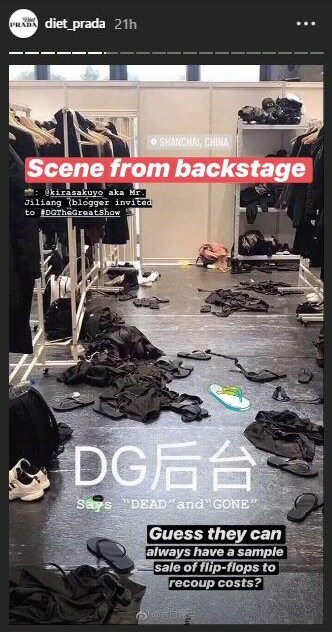 With 300-plus-looks, 140-performers and 1,400-audience, the Italian fashion house Dolce & Gabbana's Shanghai show was called off hours before its was unveiled to the world of fashion. The greatest fashion show ever made in 33 years of D&G's history was found embroiled in controversy and accusation of racism after they published a series of videos on social media. Dolce & Gabbana had to cancel their fashion show in Shanghai, after having released series of advertisements for the brand in which a Chinese woman struggles to eat pizza, spaghetti and Cannoli with chopsticks. Not only did it infuriate fans of D&G but drew condemnation from Chinese celebrities on social media. The controversy was the number one topic on China’s Twitter-like Weibo platform, with more than 120 million reads by mid-afternoon, as celebrities, including “Memoirs of a Geisha” movie star Zhang Ziyi, posted critical comments about the brand. Many users said they were annoyed by what they considered the patronizing tone of the narrator in the “Eating with Chopsticks” campaign. Compounding the row over the advertisements were screenshots circulating online appearing to show designer Stefano Gabbana making disparaging remarks about China in an Instagram chat. The luxury fashion brand said in an apology posted in Chinese on Weibo that Gabbana’s Instagram account had been hacked. With the controversy taking over social media by storm, 24 models backed down from walking the D&G ramp as confirmed by Bentley Modelling Agency. Chinese super model Estelle Wong, who was among the other models to withdraw from the show, also took to her Instagram account and posted against the brand doubting their sincerity. 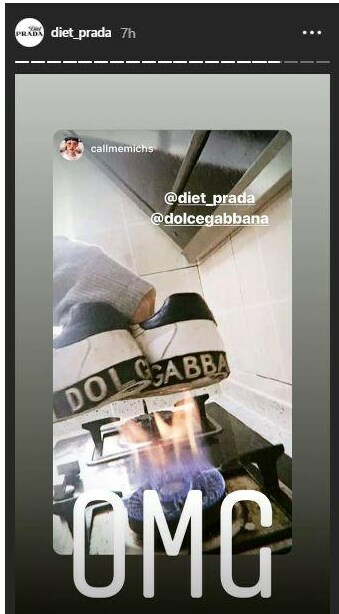 Videos of people burning and throwing away D&G shoes and products in protest is a creating a movement on every social media platform.